This post is half a day late because I was immersed in the Euro 12 football matches yesterday. The Danes were battling Portugal and then Germany chased the Dutch across the field. one of these countries and in a ‘Danes in Germany’-forum I found a recipe for pork filet in mustard sauce. My supermarket did not have organic free range pork filet so I used cut up pork. 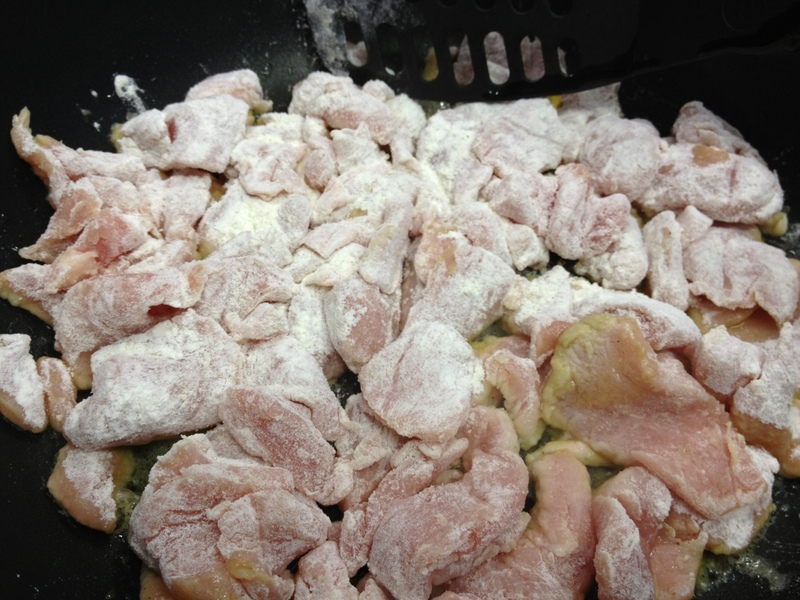 I covered the pork in flour seasoned with salt and pepper and fried it in a pan in a little olive oil. 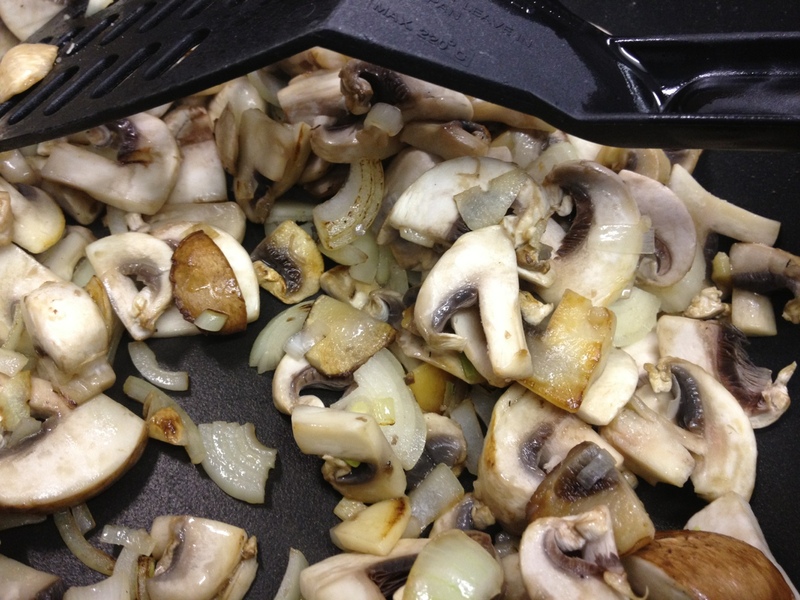 When it was nicely browned on all sides I put it aside and fried 250gmushrooms, 2 onions and 1 clove of garlic in a little olive oil as well. 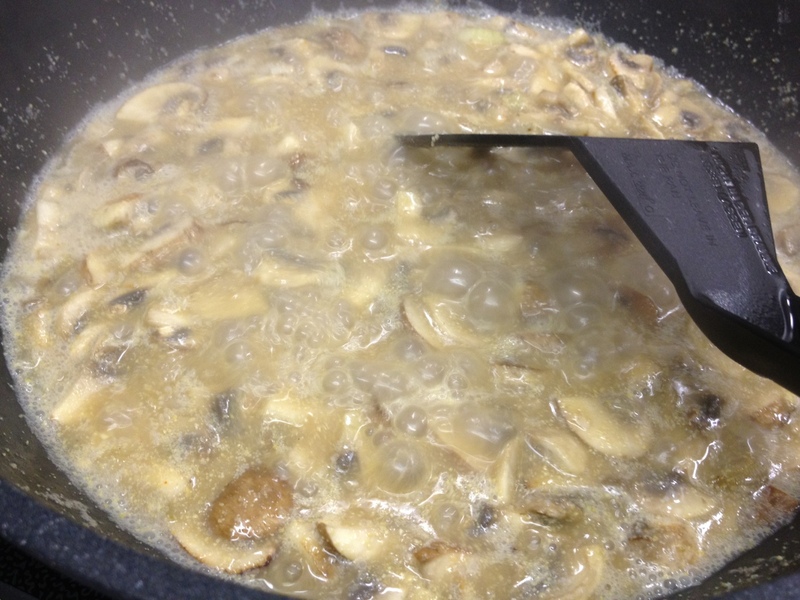 To the mushrooms I then added 1 cup of water and 2 generous tablespoons of mustard. 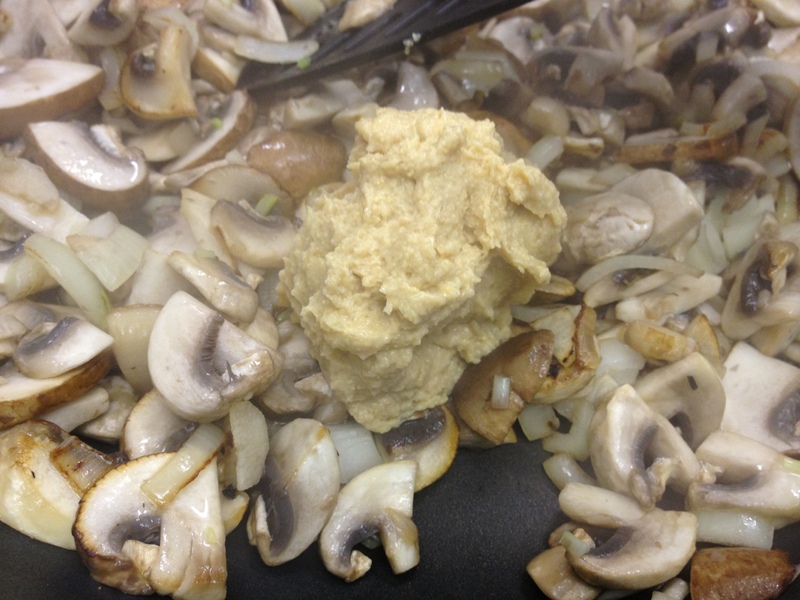 I used my home made mustard, of course! At this stage the recipe tells you to add 1 cup of double cream cheese. I swapped it for 1 cup of heavy cream. Then I put the meat back into the sauce, seasoned it with tarragon and more pepper and cooked it for further 10 minutes. I served it with rice and broccoli. 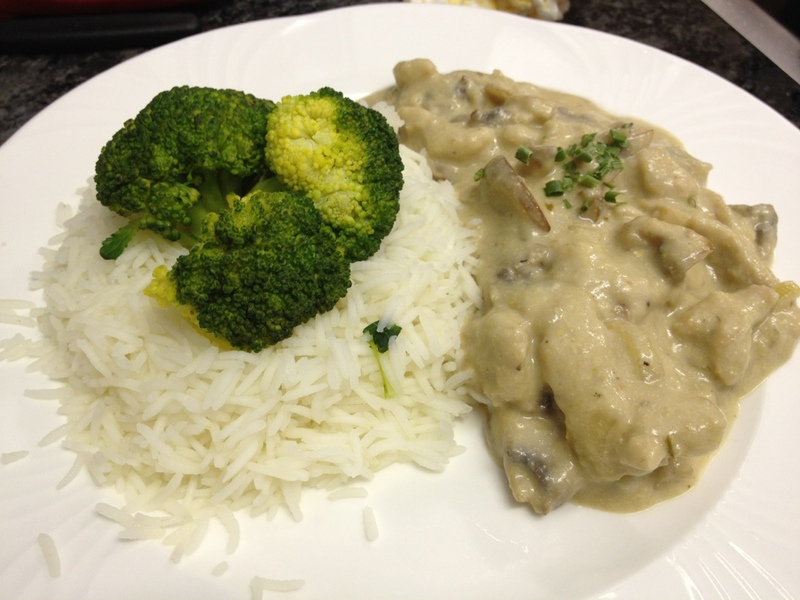 It is a very nice dish even though it is your old mushroom cream sauce and meat combo. The mustard definitely adds a nice touch to the sauce and next time I’ll add a bit more than only 2 tablespoons.